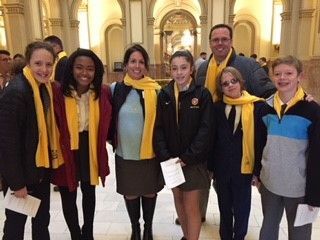 BCD students had the opportunity to tour the Capitol building, observe the Senate and House in action, meet their elected officials, and have lunch with state lawmakers. 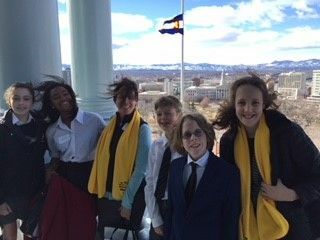 Seventh grader James Tindle shared his thoughts on the opportunity, "Attending Civics Day 2019 with ACE Scholarships was such an honor. 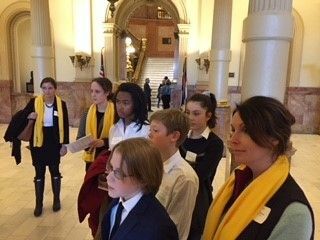 We were able to watch both State Representatives and State Senators debate, and we learned so much when watching them. Many people don't know much about what goes on in politics, but it is amazing what happens in government." The event was organized by ACE Scholarships in recognition of National School Choice Week 2019. ACE Scholarships is a nonprofit organization that awards financial scholarships to students from low-income families so they can attend the school of their choice. More about BCD's Middle School.